Liberals and the anti-Trump crowd in general are having an extremely bad day. First, the much-anticipated report by Special Counsel Robert Mueller finally dropped, but it is about the exact opposite of what Democrats hoped for. While many on the left pinned their hopes of impeaching President Trump on that report, it turns out that there was no collusion between the president and Russia. That put liberals into a foul mood on Monday, but their headaches were just starting. Now anti-Trump attack dog Michael Avenatti has been arrested on serious charges of fraud and extortion — and even more liberal names are being linked to his downfall. Avenatti, the shady attorney most famous for representing Stormy Daniels and mulling a 2020 run against Trump, isn’t alone. Another prominent liberal has been named as a co-conspirator in the same case, and his Rolodex reads like a who’s-who list of people who despise the president. “The alleged co-conspirator in an extortion case against celebrity lawyer Michael Avenatti is believed to be CNN legal analyst Mark Geragos,” The Washington Examiner reported on Monday. There’s a good chance you haven’t heard of Geragos, but it’s almost certain that you’ve heard of his clients. 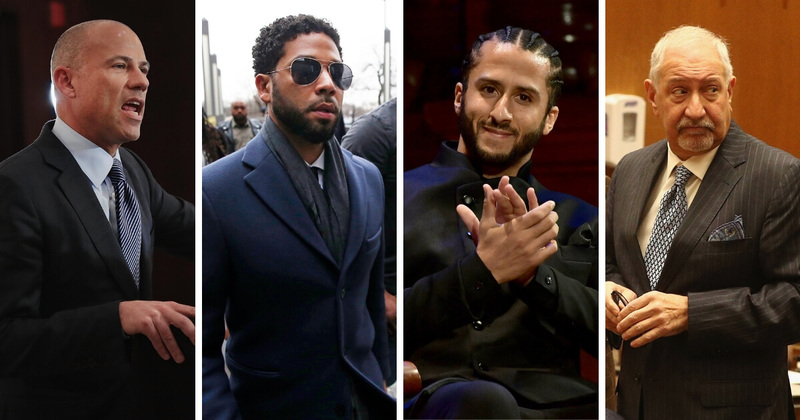 “One of the best-known criminal defense lawyers in America, Geragos’ clients have included footballer Colin Kaepernick, the late singer Michael Jackson … jailed Clinton associate Susan McDougal, murderer Scott Peterson, former hockey player Scott Barney, and actor Jussie Smollett,” The Examiner pointed out.